Recently, one of You Tube’s star aquarists experienced a tank crash. It wasn’t a sudden ph drop, or a failing pump, or any of the incredibly rare failures that lead to a destroyed system. The crash was caused by the most common purveyor of dead fish and demolished livestock, a power outage. In reef keeping, we often discuss how to manage water quality, alleviate stress in fish and ensure our livestock’s fundamental needs are met. Though, being a good aquarist goes deeper (no pun intended) than that. 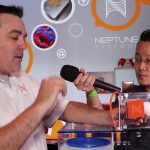 It encompasses foresight, and the ability to ensure that redundant systems are in-place, to guard your aquarium from random, yet quite common disasters. Power outages are common, all around the world. In some areas, power outages are so common, that they’ve become a fact of life for people living within those regions. Whether it’s rolling blackouts, the aftermath of a major storm, or a car smashing into an electric line, power outages are a real threat to your aquarium, and can demolish decades of work and aquatic progress. I live in an area of Maryland with an archaic, overhead electrical grid. To make matters worse, it’s a heavily forested area, with electric lines often running right through thickets of over-grown trees. Add to that, an annual snowfall of over 300 inches, and the area is primed and ready for common outages. During Hurricane Sandy (2012) we lost power for over a week. Even during normal winters, it’s not uncommon to lose power randomly and for varying periods of time. Early on in my reef-keeping career, I learned the value of redundant, automated back-up power. I am now of the mindset that without long-term back-up power, it’s just a matter of time before a reef aquarium is destroyed. 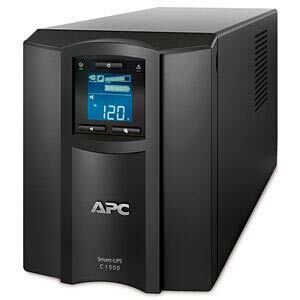 Options for back-up power: There are some considerations, when looking at back-up power solutions. Having a cheap gas generator, capable of backing-up your entire aquarium, is certainly an option. 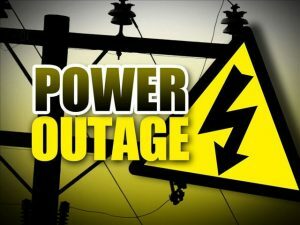 Generators are available for 200-500 dollars, that can easily back-up a moderate sized aquarium, running the entire tank until grid power is restored. The problem with these generators, is that someone needs to be on hand to get them up and running, and this process tends to involve open windows and extension cords. If the generator has sat for a long period of time, it’s possible the gas has spoiled or the oil needs replaced. People have a habit of “setting and forgetting” back-up generators, and when the time comes that they’re needed, several hours of work (and trips to the hardware store) are needed in order to get them running. Also, stand-alone generators cannot kick-on in the event power goes out when you’re not anywhere around your tank. Power outages don’t discriminate, and it seems they often occur while we’re at work, or in the case of You Tube’s aquarist, while we’re sleeping. 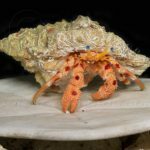 These issues make automatic whole home generators the weapon of choice, when protecting a reef tank against intermittent power outages. These units come on automatically in the event of an outage and even notify the aquarist that grid power has been lost and generator power has taken over. Also, automatic whole home generators run a weekly cycle, where generator power takes over for a half hour or so, allowing the generator to run and perform a self-diagnostic. Today, most automatic generators have a companion iOS or Android app, that notifies the homeowner if any issues are discovered during the automated weekly cycle. Even better, automated whole home generators can be attached to a home’s propane tank, so that the need for gasoline disappears entirely, and it’s likely enough fuel exists to ensure the generator can run for a while. The caveat to automatic whole home generators is price. Depending on your home’s electrical demand, these units can cost anywhere from 3,000- to over 10,000 in price. For many aquarists, this is out of their price range, for something that may only get used a handful of times. Even worse, automated whole home generators require yearly service, which is best performed by an electrician. The cost of having an automated whole home generator installed can easily exceed 1,000 dollars, bringing the overall cost up, up and away. That brings us back to square one, how does an aquarist get reliable, automated, long-term back-up power without investing more than the cost of their tank? It’s likely the best option for many, will be a mix of a gas powered generator, and a bank of battery back-ups. A reliable, redundant, automated power system: Generac is a well-established brand of home generators. They have pioneered a host of technology, and refined generator’s ability to create on-demand, stand-alone power. Generators have been known to produce what is called “harmonic distortion.” This is a very subtle, yet detectable, distortion in the electricity created by a generator. For very basic items around the home, harmonic distortion doesn’t cause any problems. However, for sensitive electronics such as LED aquarium lights, controllers or even driver-controlled pumps, harmonic distortion will destroy them. Years ago, before microprocessors made their way into everyday appliances, harmonic distortion wasn’t really an issue with stand-alone power. Today though, an old generator that creates a slew of harmonic distortion could ruin everything on your tank, and within your home. Luckily Generac (and a host of other generator manufacturers) have created systems that minimize harmonic distortion, making generator power safe for even the most sensitive electronics. Also, Generac implements a series of smart, microprocessor controller power modules, that distribute generator power throughout the house. These modules make it possible to use lower kilowatt hour generators (kwh) for higher power demands, effectively saving homeowners money. 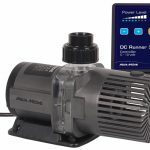 Instead of requiring a beast of a generator to power your reef aquarium, along with the home’s other power demands, power modules manage power so effectively that a small generator can be stretched a long way. Though, what makes Generac the generator of choice for aquarists, is their power relay system. This is installed in the home, next to the breaker box, with a port on the home’s exterior where the generator is connected. Switches exist on the power relay box, that transfer power from grid power to generator, allowing the aquarist to select whatever device they want powered by a generator. It makes switching from generator power very easy, literally switching on the generator (most these days have electric starts), walking to your power relay and flipping a few switches. Power management modules ensure there are no power interruptions, surge starts or brown-outs. 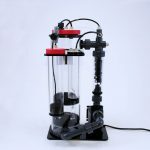 The best part, a generator capable of backing up most reef aquariums, along with most of the aquarist’s house, can be had for under 700 dollars. 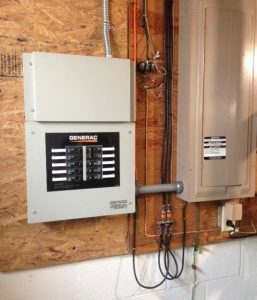 The cost to install Generac’s power relay system, is about the same cost. 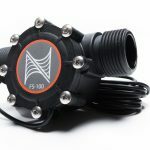 So for around 1,400 dollars, you have a reliable, long-term and easy to use back-up power system for your tank, and your home. If using such a system, you can cheaply purchase a generator cover from Generac, which protects your device from rain, snow and in climatic weather, allowing you to keep it docked outside the house, right next to the relay connection port. I actually leave mine plugged in, as both the cord and relay port are rated for all-weather. Even better, an aquarist proficient in DIY could build a little housing for the generator, keeping it dry and allowing it to exhaust when in use. Some things to remember: If using such a system, it’s valuable to remember, that in order for a generator to start and be efficient, it should run on a weekly basis. Starting the generator each week, and letting it run for 30 minutes or so, can help diagnose if there is any problem or if the unit needs service. You can let it run idle, but it’s better to put it under load. Since the power relay is so easy to use, it’s simple to switch a few items in your house from grid to generator power, ensuring your unit is at 100% operating efficiency. It may seem like a hassle, but 30 min a week to guarantee you have reliable back-up power, really isn’t asking too much. Also, if your generator will be setting idle for any length of time, it’s vital to put fuel stabilizer into the gas tank, preventing the fuel from becoming stale, thus preventing the generator from starting. Also, generators require an oil change at varying intervals, so be sure to read the system’s manual and change the oil properly. You’re still not there yet: Even with a system as described above, there is still one major flaw. The generator will not automatically kick on; in the event a power outage occurs while you’re asleep or away. Luckily, Generac’s power relay is compatible with automatic whole home generators, should you decide to upgrade in the future. However, automation is a vital component to a viable aquarium back-up system. There are several options, and if you’re using Ecotech equipment, their battery back-ups are a viable way to power your return pump, circulation pumps and lights, keeping the tank safe until you become aware of the outage. Still, this is less than ideal, as the heater (along with other key components) are still out, until the generator is activated. A good option is using smart battery back-ups, meant to provide emergency power to computers and web-servers. These back-ups often have an LED display, that shows the batteries’ charge, along with the estimated run-time under the current load. Better yet, these back-ups can send an email or text message, in the event of a power interruption. Personally, I have a bank of four battery back-ups, connected with one smart back-up. My modem and wireless router are both connected to the smart back-up, so in the event of an outage, the smart back-up can send an email, notifying me the power is out. Combined, the back-ups can provide power to everything except lights (which is backed up by an Ecotech battery) for 10 hours. Even if I’m at work, or asleep, I know the tank will be safe until I’m aware of the outage. Plus, I can be pretty certain I’ll get an email, should the power go out. Luckily, even if I’m out of town, the Generac relay system is so easy to use, you could walk just about anybody through activating it. Most efficient generators can run at full load for 12 hours between fuel refills, so if you’re out of town, make sure you have someone on hand who can help out, if needed. Shopping around online, smart battery back-ups can be had for a pretty reasonable price. Remember, only one back-up in your bank needs to be smart, the others can be traditional PC batteries, which can be had very cheaply. The result of combining the batteries with a Generac generator and power relay, is a redundant, fail safe back-up power system for under 2,000 dollars. Given that many of our aquariums are home to thousands and thousands of dollars’ worth of sensitive livestock, that is some pretty cheap insurance.